As chemical reactions are scaled from lab to manufacturing, potential safety issues of non-scalable conditions need to be identified early in development. 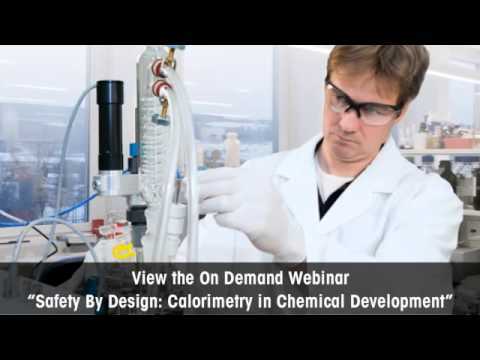 Reaction calorimetry provides crucial information quickly, which can be applied to quantify the risks and criticality associated with a chemical process. Uncovering potential safety issues of non-scalable conditions, such as inductions, accumulations, heat or mass transfer issues, are required to develop and scale a process in a safe and robust way. Traditionally, this information is not generated until late in the scale-up phase. By implementing calorimetric technology in the lab, scientists and engineers are able to obtain this critical information earlier in the development process. Reaction enthalpy, heat transfer and maximum heat release data is used to understand process conditions and identify potential issues that can be quickly corrected - resulting in faster process development and scale-up. Urs Groth is a chemical engineer and has been involved in engineering and process safety applications at METTLER TOLEDO for over 20 years. He is currently the Market Manager for reaction engineering and Product Manager for calorimetry systems.